The disputes over the proposed location of a new hockey arena are only the latest chapter in the conflict between Mansfield and the University of Connecticut that has been going on for years. 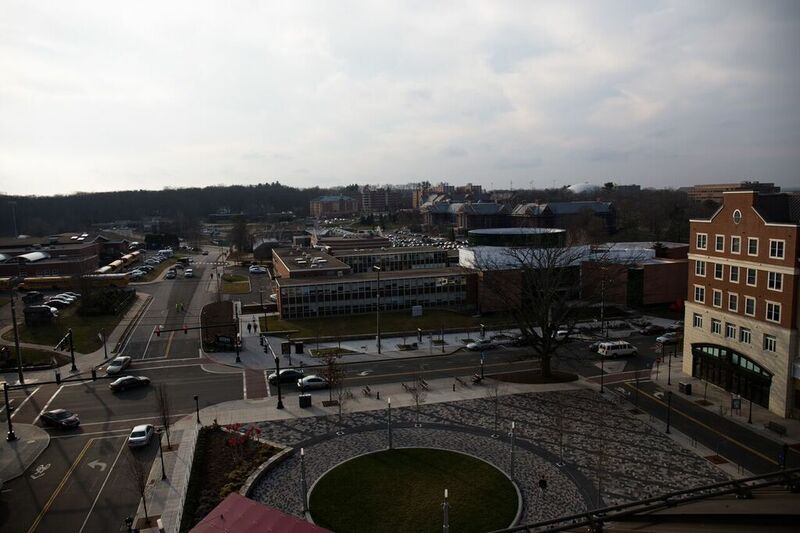 UConn needs to expand, and the town of Mansfield wants to limit that expansion. UConn’s rural setting worked well when the school was founded as an agriculture school, but it has moved far beyond its agrarian roots, according to the Hartford Courant. Former Mayor Elizabeth Paterson said the number one reason students decided against coming to UConn was because there was nothing to do once they got off campus, as students choose their college based on the community and location. However, this year UConn welcomed its largest-ever freshman class, admitting 3,800 freshmen to the Storrs campus, according to the Hartford Courant. In the last 10 years, the number of applications have increased by 88 percent and the number of freshmen enrolled have increased by 10 percent. Nevertheless, Mayor Paul Shapiro said this is a difficult issue as the town has certain concerns, but they do not control the land use on UConn property. UConn Today said that in 2014 university officials completed the draft Master Plan, a comprehensive planning document that will help shape the physical development of Storrs campus for the next 20 years. The plan is “intended to help guide UConn’s capital investments and ensure that the construction and placement of buildings, utilities, transportation, and other infrastructure components support UConn’s mission and academic plan,” according to UConn Today. 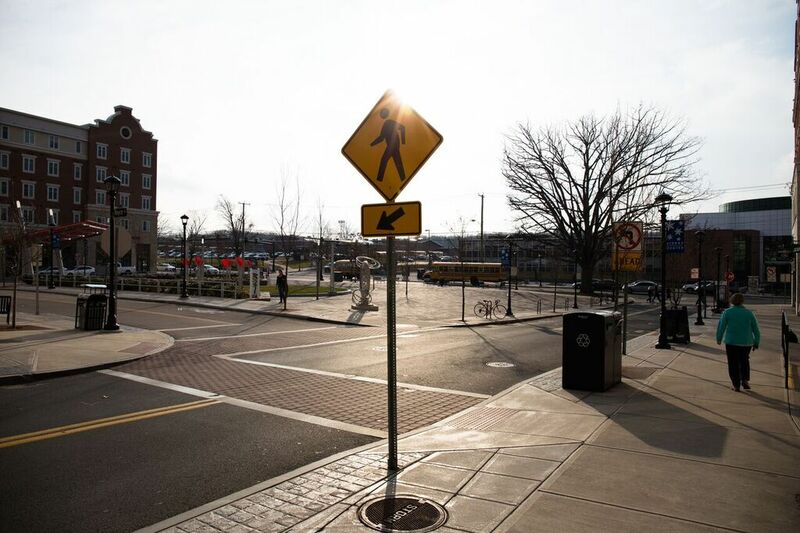 The UConn Master Plan includes the implementation of more than $1.5 billion in capital projects under Next Generation Connecticut, as well as high-level plans for other new construction, renovations and infrastructure changes and improvements. Since 1989, usable space on campus has nearly doubled, and UConn Today said Next Gen and other major projects are expected to add 3.5 million gross square feet of space to UConn’s campus, which currently comprises 10 million gross square feet. However, many Mansfield residents are unhappy with the constant growth and development of UConn, saying it has come at a high cost to the town’s agrarian roots. One of the guiding principles of the Master Plan is utilize the campus to recruit and retain outstanding faculty and students, according to Wood. In the Mansfield Tomorrow Plan of Conservation and Development, Mansfield residents identified sustaining and growing Mansfield’s agricultural sector as a key priority. According to several personal vision statements for Mansfield Tomorrow, residents would like to see the town balance its preservation of rural character with the need for sustainable growth. While Wood said she acknowledges there will be inconveniences associated with hundreds of construction projects in the coming years, she hopes people understand that the intensive development is positive. Wood said she believes that it’s always a good sign when campuses have lots of construction because it shows vitality and confidence in the future. This is not the first conflict in recent history between the town of Mansfield and UConn. The New York-based pharmaceutical company Pfizer Inc. proposed building a $35 million animal vaccine laboratory on Horsebarn Hill, according to The Day. The Day said in 1998, the UConn administration extolled a new partnership with Pfizer that then Gov. John G. Rowland said would help “transform the state almost overnight” into a leader in biomedical research. However, ground was never broken because disputes over the site escalated. The New York Times said Pfizer backed down after facing two lawsuits, the outrage of students and faculty and community opposition from a group called the Coalition to Save Horsebarn Hill, choosing to build a lab elsewhere rather than wait for the courts to decide. As well, Storrs Center has not been without controversy since ground was broken in June 2011. UConn’s website states LeylandAlliance LLC was hired as the master developer for the $220 million mixed-use project that would include 322 apartments and an array of shops and restaurants. However, the Connecticut Laborers’ District Council criticized LeylandAlliance LLC for using out-of-state contractors and nonunion workers, according to the Hartford Courant. Denise Keane, a Mansfield resident, felt the cost of developing Storrs Center was too high, and the projected revenues were not what she had hoped for. Keane said “the community that is being committed to being built around it is being developed by a student housing firm,” believing this development to be turned into an extension of UConn student housing. Along with other residents, Keane said she believes Mansfield did not get the initial vision of Storrs Center they were sold on, a family friendly downtown and town green that would enhance the quality of life for Mansfield residents. Due to the recent controversy UConn plans to focus on upgrading its on-campus hockey facility by renovating its existing arena rather than selecting a new location and building a rink. Athletic director Warde Manuel said UConn is looking into what needs to be done to elevate Freitas Ice Forum to Hockey East, the region’s top college hockey conference, standards, even if it is not used as the competition facility. Built in 1998, the Freitas Ice Forum “is a dated facility that lacks amenities that have become the benchmark in NCAA Division I hockey,” according to the Hartford Courant. The Hartford Courant said Freitas Ice Forum’s seating capacity is less than half of that required for a Hockey East school to host conference games. Mansfield’s Director of Planning and Zoning Linda Painter said the Freitas Ice Forum was just one of the locations put forward in the town’s plan of conservation and development as an alternative location for the rink. Other possible locations were considered, specifically the building of a new hockey arena on the site of Mansfield Apartments, according to the UConn Draft Campus Master Plan. Mayor Paul Shapiro said “the [previously] proposed location…makes no sense environmentally,” as the siting of such a facility would have a significant impact on the adjacent Albert E. Moss Sanctuary, a wildlife preserve. The Moss Sanctuary protects upland and wetland woodlands and Tift Pond, which is just across the road from the Storrs campus, according to the Connecticut Forest and Park Association. A document on the town of Mansfield’s website states that the CT Forest and Park Association holds a conservation restriction on the land to ensure its preservation as forest and wildlife habitat. However, Hockey East bylaws require UConn “to put a shovel in the ground for a new on-campus arena in the 2016-2017 academic year,” according to Michael Enright, UConn’s associate director of athletic communications. Manuel admitted the need for an on-campus facility, as did UConn hockey coach Mike Cavanaugh. While UConn does not have a concrete timeline for the renovations, Manuel said he hopes to have the project complete by 2019, in keeping with an agreement with the conference. Nevertheless, faculty and students at UConn and E.O. Smith High School use Moss Sanctuary for education and research purposes as well, according to the Mansfield Open Space Preservation Committee. “This 135-acre tract of land has served as…a place where visitors from Northeastern Connecticut can enjoy native flora and fauna, walk through trails, and discover a variety of natural habitats,” said Matthew Hart, Mansfield town manager. Shapiro said he acknowledges that UConn needs to build an on-campus hockey arena, but the question was where. Radio Naturopath Episode #60: Getting Sick from a Restaurant, and How to Have a Healthy Mouth! I am a Mansfield resident AND a UConn fan! I love living in the rural area while also supporting and valuing UConn. I wish this story was so focused on a “us vs. them” mentality. We can love and preserve the rural feeling of our town while also supporting the growth of UConn. UConn has plenty of land that it could use. The Depot Campus has many opportunities. It would be a wonderful place for a new hockey facility. There would be adequate space for parking and traffic would be less of an issue. The BIG issue on the Depot Campus is the contamination. Who will pay to clean up the mold, asbestos, and lead? It is going to need to be cleaned up at some point. If UConn would clean it up, there would be plenty of space there for MANY new facilities. I hope that, in the future, we can see more in-depth reporting that doesn’t focus on the sensationalized “mansfield vs. UConn” story. That story is old. It isn’t current and doesn’t reflect the majority of UConn OR Mansfield. We can work together so that everyone wins. We just need reporters and stories that don’t try to fuel a fight or pit one side against the other. The hockey rink belongs at the depot campus.